How ever you intend to use the Quarto, the building has a truly charming interior atmosphere; the attractive vaulted ceiling ensures the interior is light, bright and spacious. The timber beading, window frames and attractive rafters frame the white walls giving the ideal “warm” balance. It combination ensures the interior is practical without being clinical. 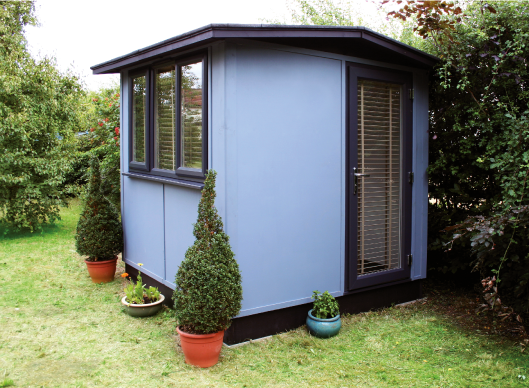 With 180 sq feet of space the Quarto Garden Office is adaptable and versatile. 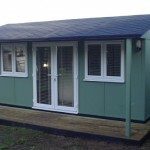 The building is specified to the highest level being fully carpeted, double glazed, cabled and insulated to ensure you are warm in winter, cool in summer and comfortable all year round. 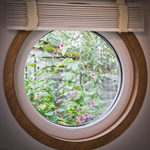 Designed and manufactured in the UK the Quarto is manufactured by craftsmen in our own factory and is then installed in your garden by the same team. 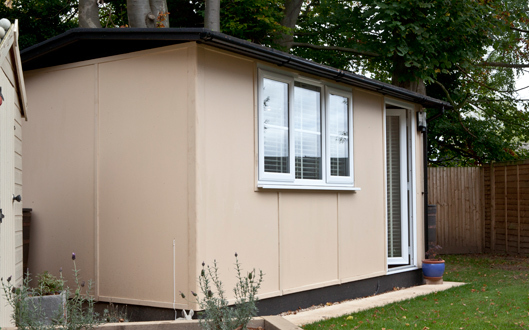 Created from high specification building materials throughout, the Quarto offers a robust and solid building that will not require any maintenance for 15 years.The building can continue for generations with occasional attention every ten years. Despite it’s substantial interior the Quarto’s clever exterior design is low impact which allows the building to blend in with its surrounds. Even at its ridge, the standard Quarto is only a fraction over 8 foot (and within the planning regulations) so building can remain as subtle and understated as you wish. 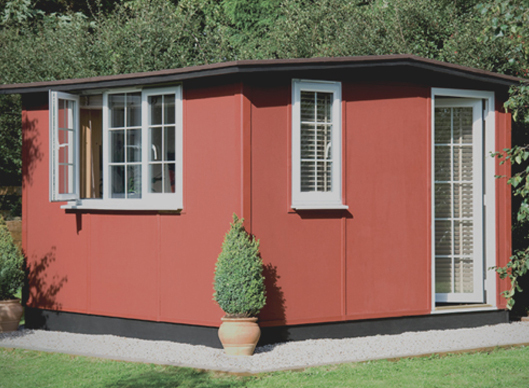 Like all Smart buildings, the Quarto is designed and built to office specifications and is fully insulated, double glazed and is complete with integral electrics. 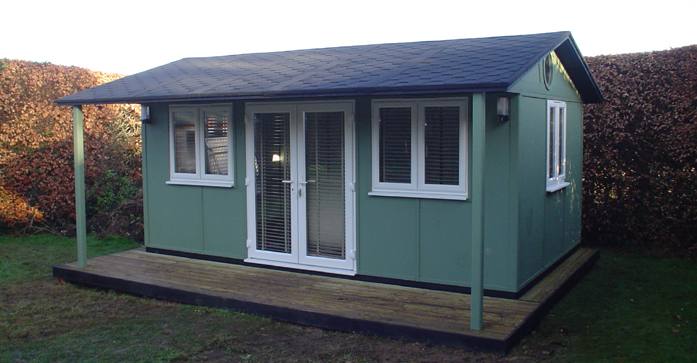 Choose from a wide range of exterior colours and configure the windows and doors to suit your own garden. Call us now on 0800 242 5559 for more details or request a catalogue by filling in the form on the right-hand side of this page. 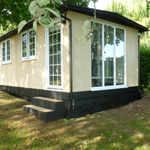 Every aspect of this building exudes quality, from the attractive visible roof trusses to the high specification windows, through to the solid, heavily insulated walls with a beautiful white silk finish. The combination of white walls with timber features makes for a perfect internal ambience. 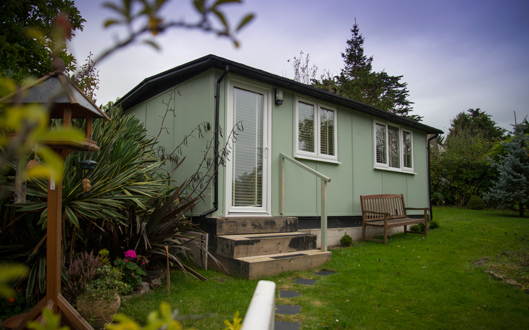 There are treats such as specially curved corners, porthole windows and an abundance of natural light, which makes this building the only choice for those looking for a larger studio, home office or garden room. This Room is there to be personalised by you, to make it something you just can’t keep out of! Installation takes just 2-3 days on the Quarto. 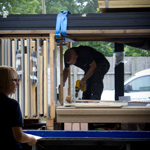 We create all the components in our UK factory then fit them all together to form a robust, strong and stylish building. The Quinto is the largest building in our range and offers an impressive footprint. 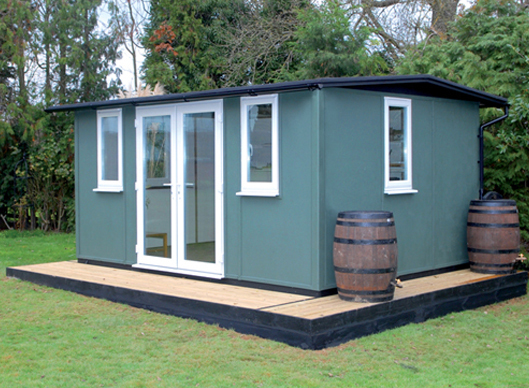 If the Suffolk Barn isn’t quite what you’re looking for the have a look at our Ultra Range. 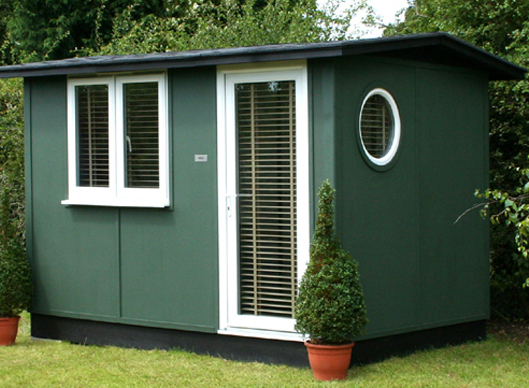 The complete one-person office, a small footprint, with a surprising amount of space and versatility. 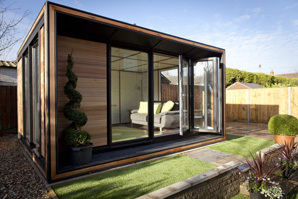 Incredibly versatile, completely adaptable and beautifully designed. Perfect for long and thin gardens. 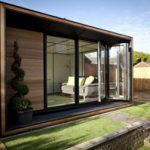 Cleverly designed to make the most of your space. 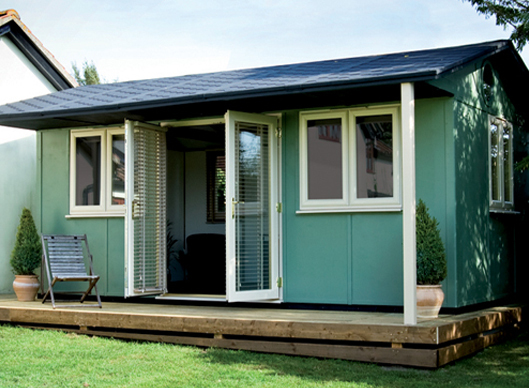 An incredibly versatile space, offering comfort, style and strength.